As we say that September-October is the best time to visit pink city, it’s not just because of the amazing weather and onset of winters, it is the fragrant breeze in Jaipur which carries in it the festive feel that sheathes the vibrant culture, calming music, magical dances and a touch of royalty. The very epitome of this festive celebration that is awaited the entire year: Jaipur By Nite began last night. The evening unfolded a series of events where the entire pink city and a surge of tourists were seen glowing with excitement as they witnessed the rich heritage of Rajasthan. 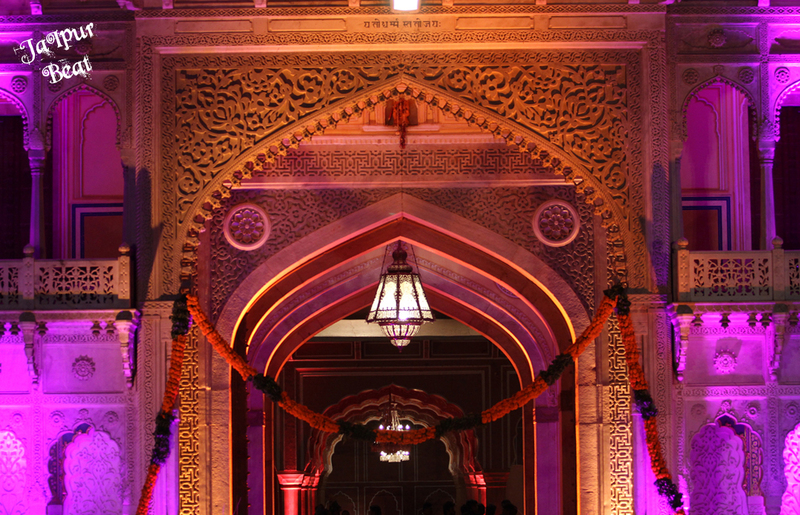 The event was held at City Palace in the azure light of the stunning night sky. 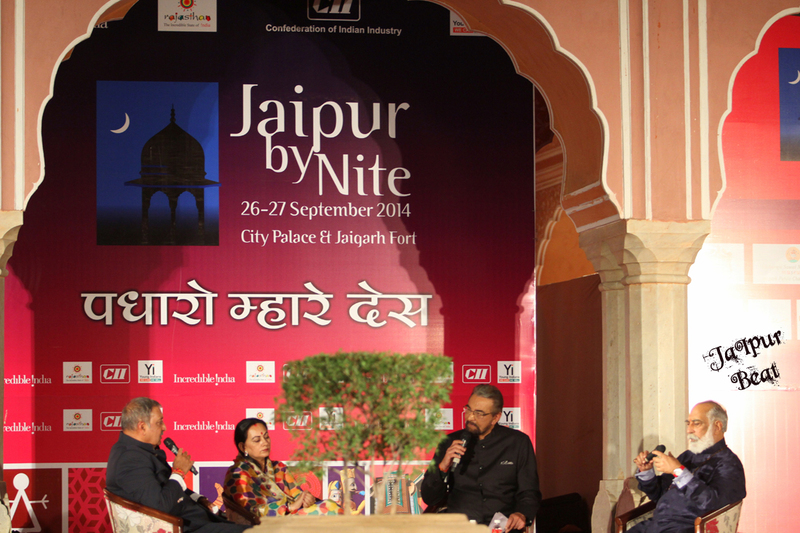 The two day ‘Jaipur by Nite’ Festival kicked off with the traditional lamp lighting by former members of the royalty. As the lamp was lit, the happy faces were greeted with the scintillating Rajasthani song ‘ Padharo Mahre Des’. The major highlight of the evening was the Royal talk show ‘Contribution of Royalty to Society’ hosted by the very handsome Television and film actor and an outstanding orator: Kabir Bedi. 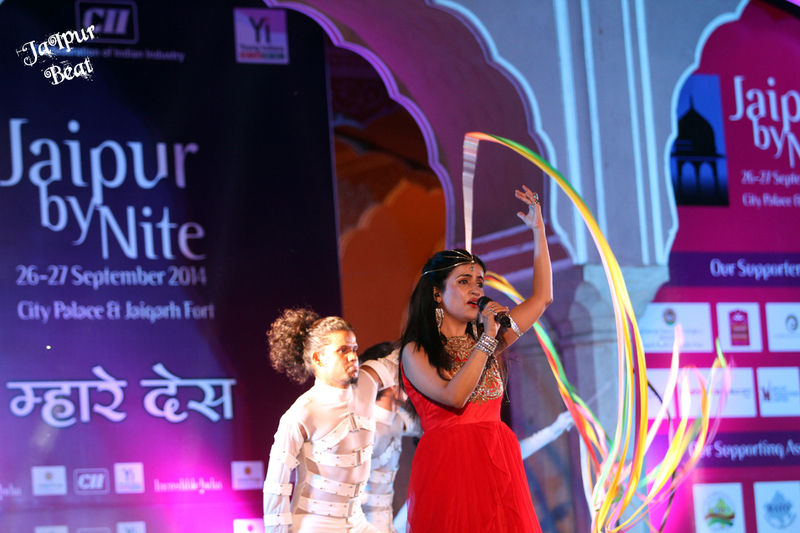 As the talk was about Royalty, renowned members of Jaipur’s Royal Families graced the evening with their ethereal charm. These included Maharaja Gaj Singh of Jodhpur, Shri Ji Arvind Singh of Mewar, Princess Diya Kumari of Jaipur, and Maharani Rohni Kumari of Karauli. What actually touched the hearts and moved our souls last evening were the exceptionally brilliant performance by the differently abled children of the group ‘Ability Unlimited’ which is a non-profit organisation that empowers the disable to lead an effective, innovative and independent life. What came as an icing on the cake on this magical evening was the sensational performance by the famous Bollywood singer and actress Shibani Kashyap who filled the atmosphere with her soulful voice and foot-tapping beats of her impeccable mix of Bollywood and Sufi music. After the fantastic Day 1 of Jaipur By Nite that will be marked in our memories forever, we can’t wait for tonight when there will be more music, more dancing and more fun ! !